Moscow would like to join the committee to preserve the Preah Vihar Hindu temple. Russia would like to increase cooperation with Cambodia in several areas, including heritage preservation, Russia’s Ambassador in Phnom Penh Dmitry Tsvetkov told Cambodian Deputy Prime Minister Sok An, according to the Khymer Times. 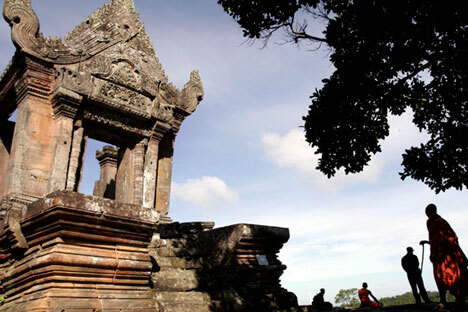 Russia is eager to participate in the International Coordinating Committee for the Safeguarding and Development of Preah Vihar, a Hindu temple that is on Cambodia’s border with Thailand, the paper said. Moscow would also like to increase investment in the Preah Silhanouk province. Tsvetkov told An that Russia wants to expand its broadcasting programs in Cambodia by providing Russian news, movies, documentaries, and other programs free of charge, according to the report.